excess of highly-gifted black actors. because he was cast as a character of Asian heritage.” This is courtesy of BBC. Just think about that for a minute. An actor has decided not to portray a character because he is not of the same ethnic heritage as a comic-book character. This is a slippery PC slope. Very slippery. For if we are consistent in our belief (and logic) then it only follows that the role of Hamlet should never again be portrayed by a British actor because Hamlet was Danish. All of the historical plays and movies about the Romans must have Italians and not Shakespearean actors from Britain. Caesar must be Italian. Romeo and Juliet also. Nothing against Italian actors, but shouldn’t directors choose actors based upon talent and not ethnicity if the ethnicity is not an obvious requirement for the story? This is PC overreach and it borders on outright lunacy. half human and half Vulcan can be found to play the part of Spock? visitor from far away in the cosmos. Hopefully aliens will have developed their own civilization to the point where acting is an integral and advanced part of their culture. a cultured man with modern sensibilities – I demand the real thing – the son of God Himself. what a silly article. The author seems to want to continue racism in Hollywood which runs rampant. The roles to play Black characters should go to Black actors, and the roles of Asian characters should go to Asian actors, and so forth. This is not over the top political correctness, it simply is the right thing to do. There are more than plenty of examples of ridiculous political correctness the author could have chosen, but this is not one of them. Why doesn’t this work the other way where you have white characters going to black actors, like in the many Marvel movies? It has happened to predominately and long established Caucasian characters in the Marvel Comics, now in the Marvel Movies, such as Col. Nick Fury, The Kingpin, Ned Leeds, etc. And now it is not proper for a Caucasian to play an Asian American? I wonder how you do not see the hypocrisy (and therefore an alternate agenda) in these actions. I have never read comics in my life and have no idea to what you are referring. Highly talented Asian actors are sitting around unemployed in Hollywood, and when the very rare opportunity of playing an Asian character comes along, that character should be played by one of the many underemployed or unemployed Asian actors. That’s the right thing to do. Your own personal sentimental fantasy attachments of white guys playing Asians in comics are your own personal issues – adjustments you have to make – grow up and deal with it! I listed the names, that you can simply google, instead of having no idea to what I am referring to. According to you, proving hypocrisy by pointing out specific double standards is an adjustment that I need to make, by growing up and dealing with it. 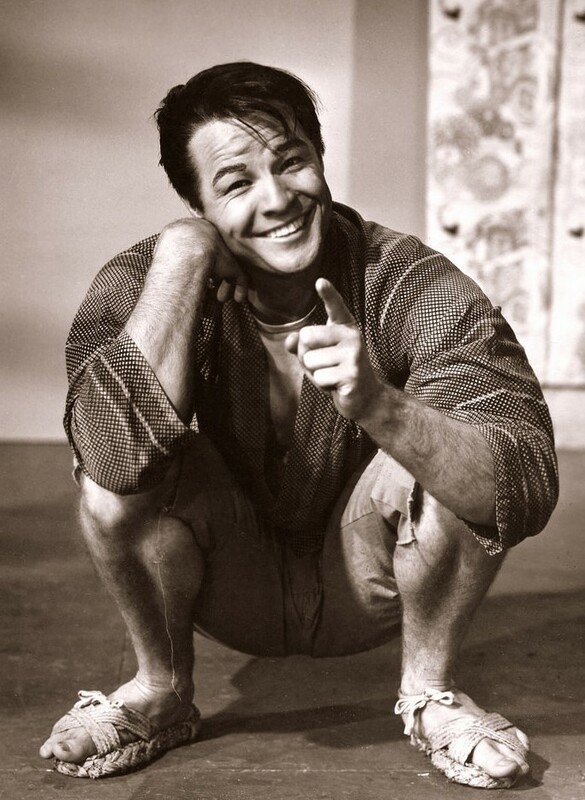 So you would have chosen a Polish actor to perform Stanley Kowalski instead of Marlon Brando in “Streetcar named Desire”? Helga I am not denying that Asians and Blacks have been treated unfairly by Hollywood – they have, but directors must have creative freedom to choose the actor they deem best suited for the role regardless of race unless it is vital to the story in terms of verisimilitude. I always laugh when I see obviously Caucasian actors playing “Indians” in Western movies. Most of these old Westerns, up until the sixties, featured white actors in such roles. One badly miscast was Burt Lancaster as an “Indian Chief”. And can anyone forget John Wayne as the Roman centurion, with his drawling American accent saying, “He was truly the son of gad”. Before any pedant attacks me, I know this latter was not a Western. Marlon Brando playing a Japanese in “The Teahouse of the August Moon” was quite a performance. Couldn’t recognize him almost to the movie’s end. Of course Othello was not described as “ugly.” I think he was described as dark and swarthy, which translates to the audience of the time as not attractive. The entire plot makes no sense if you can’t accept that basic premise. Othello would never had doubted his devoted and loving wife unless he had accepted that he, a dark and swarthy man, could never really be loved by that beautiful woman. Don’t you get that? Go away! You are ill educated and arrogant…what a disgusting combination. Take a hike, read a book, educate yourself. Read some history just for the fun of it…Daisy is correct, regarding Shakespeare writing about Othello…. You have just made a racist fool of yourself! Alright then, i want for Idris Elba to stop playing Heimdall in MCU. Don’t you dare joke about it:) Those indoctrinated the West take things literally and do not seem to understand the concept of irony. I like them pissed off. Political correctness, is virus, that’s killing the mankind &… Womankind as well, of course ??.. This article/opinion is amateurish and juvenile. The Duran can and does do so much better than this waste of space. There are far too many Asian actors were overlooked for the role and smacks of laziness, ignorance just bigotry. Don’t claim authenticity and professional standards if every role is gonna be played by a Caucasian Anglo-Saxon including female roles! Yes its a whitewash and to Le Ruse. I’d like to see the day you conceive and give birth to life. Womankind is the only reason there is mankind. The Duran can do so much better than this please! The Duran are doing better since inception, and continue to do so. The Duran is of a better pedigree than this and I am a loyal follower who does not take to juvenile petulance as expressed by you. You stand down!